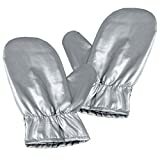 Waterproof & Steam protection: Tingtio anti steam gloves are made from waterproof cloth and insulating fabric to prevent penetration of steam,shielding your hand, wrist and forearm from hot steam as well as prevent mildew. Keep your hands dry all the time. 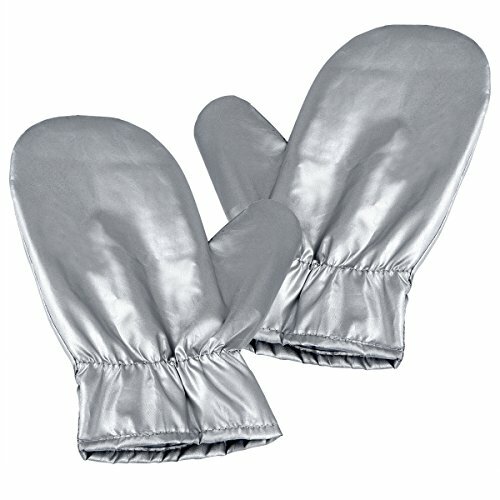 Lightweight & Lengthened & Thickened: Just 25g weight, 8mm thickness, longer and thicker than our original ironing gloves, help to protect your hands better as well as avoid falling off. Fit for: both right and left hand. Used for: Specially designed for all steam irons only such as fabric steamer,garment steamer,handheld garment steamer,travel garment steamers,standing fabric steamer etc. Quality guaranteed by at least 3 months warranty.